Our philosophy is simple: offer 5 great cigars every month – the perfect way to sample a smoke before you buy – all at a great price. 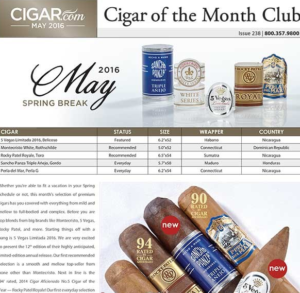 On top of that, all club members receive a 10% discount on most products sold on CIGAR.com during the life of your membership. We’ve amped up our Cigar of the Month Club First Month Bonus just in time for Father’s Day. 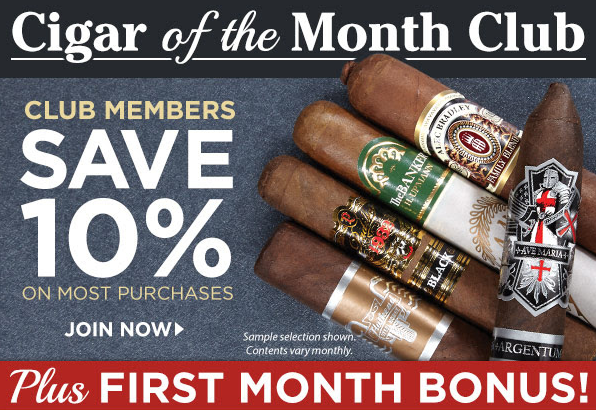 With any one of our membership options, your first month’s sampler will include 8 total cigars, 5 featured in the Club plus three additional Cohibas and a Lotus Mercury Double Torch Lighter. That’s a $155 value, completely FREE!